Bring art deco glamour to your interior scheme with the Juke Floor Lamp by RV Astley. Finished in a a beautiful brushed nickel, this designer lamp features graduated metal rods to represent the linear lines of 1920's architecture. 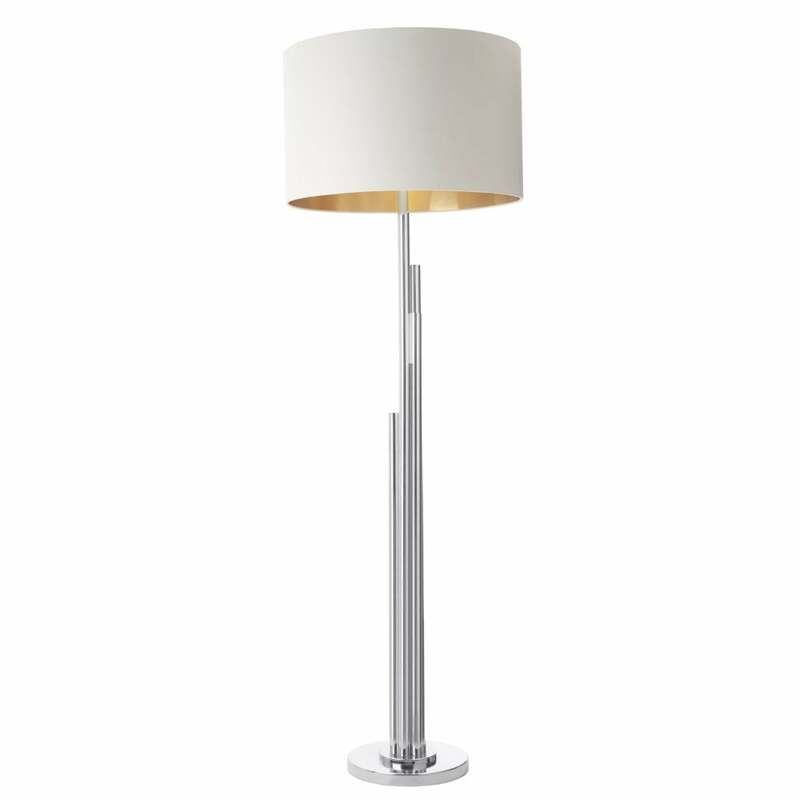 This contemporary floor lamp is complemeted by an opal shade with luxurious gold lining for a warming ambience. Position in a hallway or landing to create a statement. Make an enquiry for more information.